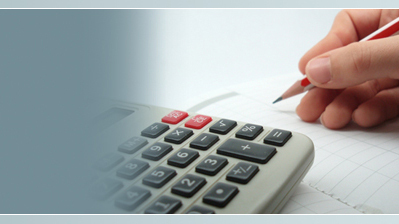 Precision Office Consulting provides off-site bookkeeping and payroll services to small and medium sized businesses. Precision was developed to help owners and managers provide quality payroll and bookkeeping services while reducing time spent on administrative duties and more time on revenue generating areas of their business. Feeling overwhelmed with your bookkeeping? Do you have your receipts in a pile to hand to the accountant at the end of the year? Why not let Precision Office Consulting help you prepare your information for your accountant. We sort, file and enter information into a computerized accounting system and provide you with a backup CD of your file for your accountant. Precision Office Consulting provides full service payroll to small companies freeing up valuable time to be spent on revenue generating aspects of their business. Not only does Precision free up valuable time, but another review of payroll hours increases accuracy and decreases the chances of disgruntle employees on pay day. Companies who do not have a formal HR department value our vast knowledge in HR issues to alleviate any problems before they arise. We help companies with their payroll from the ground up. From opening a payroll account with CRA all the way to providing government remittance information and T4's, Precision does it all for you! The services of Precision has freed up valuable time internally by relieving us of the physical processing of payroll. Since the switch, we have found the second set of non-internal eyes has greatly increased the accuracy of the payroll processing and required source deductions. As an added feature, Tina has been a great fountain of knowledge in regards to dealing with our human resources questions as we do not have a formal HR department. We now spend only a fraction of our time submitting the payroll hours compared to what we have done in the past. I would recommend the services of Precision to any small to medium size businesses that currently have an internal non specialized staff member or a large impersonal company processing their payroll. The specialized knowledge, personal touch and quick response time is of utmost importance to our businesses and Precision Office Consulting fills this criteria perfectly. Precision's service and dedication is second to none. Whatever tasks we require are handled in a most efficient and professional manner. In my mind we made the right decision by using Precision and I do not hesitate to recommend Tina and her staff for any of your office needs.